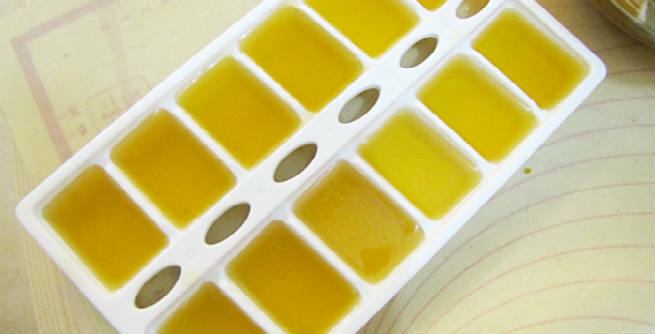 The simplest form of homemade ice toner is the ice cube itself. Just wrap an ice cube in a soft clean piece of cotton cloth and rub all over your face unless until it gets melted. Wiping the face with a cloth dipped in ice cold water will also give the same results. Frozen rose water can give you amazing ice toning effects. All you need to do is to pour some rose water into the ice tray and place it inside the refrigerator. 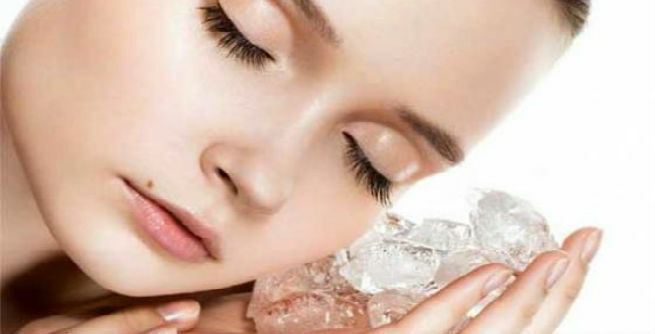 Once the ice cubes are formed, apply them to your face to get a clear, bright and toned skin. If you want a picture-perfect skin with no blemish, dark spot or acne scar, a homemade green tea ice toner should be your first choice. Being loaded with antioxidants, green tea alone can combat free radicals and prevent premature ageing. And when turned into ice, it can help in toning up our skin too. Fresh aloe vera juice or gel can also be made frozen to use as an effective ice toner. Aloe is a superfood for our skin, which makes this toner a perfect way towards a soft, supple and healthy skin. It also fades away all sorts of marks from our skin just after a few applications. Basil tea can do wonder to your skin by making it firm and young-looking. You can get even better results by boiling 10 to 15 basil leaves in a cup of water and turning the strained liquid into ice cubes. This works as a perfect ice toner for keeping our face healthy and glowing. If you have an oily skin with lots of acne, an ice toner made of fresh cucumber juice and tomato juice will be the ideal solution for you. It is a natural astringent that comes with excellent skin lightening, scar healing and acne-fighting qualities. As a result, you get a flawless and beaming skin. You can also prepare an amazing ice toner by blending rose water with watermelon juice and freezing the concoction in the refrigerator. It deep cleanses the skin and freshen it up so that we get a significantly lighter and brighter skin. Prepare mint tea from fresh mint leaves and mix cucumber juice, carrot juice and lemon juice with it. This mixture can be refrigerated in an ice tray for obtaining a super-effective ice toner. From diminishing dark spots to improving the tone, this natural toner can do a lot for our skin. Now, here is a herbal ice toner that can be used for achieving a totally clean and absolutely gleaming face. Prepare an infusion by brewing chamomile and spearmint. Combine carrot juice, cucumber juice and lemon juice with it. Freeze the whole mixture and you are ready to go! We have already seen how green tea, aloe vera gel and rose water can turn into natural ice toners separately. If you want to make the most of these ingredients, mix all of them and add a few drops of lemon juice to it. This is particularly helpful in reducing oiliness, eliminating acne, inducing freshness and making the skin smooth.